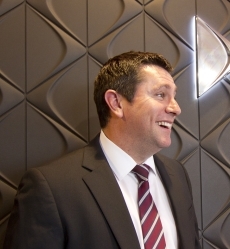 Stuart started in the motor industry in 2000 as a trainee sales executive and rose through the ranks to become a Sales Manager when he joined the Howards Citroen business in 2008. 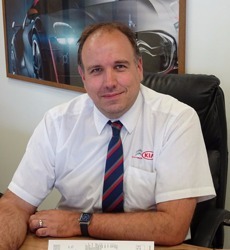 When Howards added Kia to the group in 2012 Stuart became the joint sales manager of both franchises in WSM. Outside of work he enjoys football, golf, and going to the gym. He is a James Bond and Match of the Day fan. He couldn’t go without pasta. 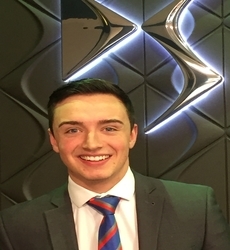 Michael has been working at Howards Motor Group since 2014, joining after completing his A-levels and taking a gap year out. He loves to meet new customers and maintain good relations with our existing customers. In his spare time, Michael loves to watch and play football and if the weather is nice he’ll take his motorbike out for a spin! Couldn’t be without technology, especially his laptop! 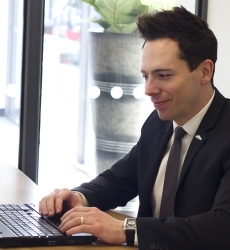 Jon started with the business in 1986 as a trainee mechanic in the Nissan business before rising through the workshop to service reception before starting as the Citroen service manager in 2002. He loves dealing with the public and in his spare time he enjoys travelling and diving. He has a varied taste of music having watched a variety of artists from Pink to the Scissor Sisters. He also loves Indian food.